The Dream Team kicked off the start to the match season with a convincing 11-1 victory over the Westchester Chess School. 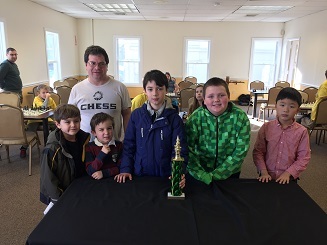 Despite the lopsided final score, the underrated Westchester Chess School players were a tough contest for many of the veteran Dream Teamers. Each round several of the games lasted for the full hour and could easily have finished in favor of the WCS. 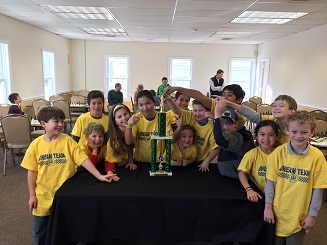 As always, the players from both teams thoroughly enjoyed the competition and would rush off between rounds to play rematches of chess and bughouse! 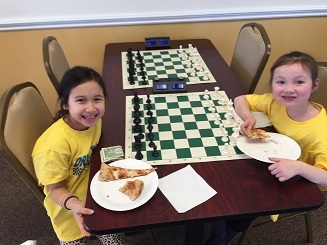 The pizza lunch provided at the conclusion gave everyone a reason to smile.